Recurrent moisture is a plague on the modern flooring industry, especially as it applies to shrinking building schedules and budgets. When builders apply flooring over improperly-dried concrete slabs, high moisture levels can trigger perpetual problems which can jeopardize a floor: adhesive breakdown, debonding, osmotic blisters, staining, efflorescence, curling or expansion. 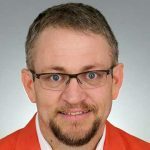 In recent years, the flooring products industry’s shift away from volatile organic compounds (VOCs) has created a new generation of adhesives that are more sensitive to concrete moisture than ever. Most manufacturers provide product specifications for flooring professionals, but the issue is one of concrete slab moisture measurement. If the end result is to be a strong and resilient floor, the quest necessitates precise and thorough concrete moisture assessment. When industry warranties and reputation rest on integral flooring installation, builders refer to industry guidelines. The American Society for Testing and Materials (ASTM) has two such guidelines for moisture assessment of concrete slabs: ASTM F1869, and ASTM F2170. Each guideline refers to a specific concrete slab testing methodology. However, it is important to first understand the environmental factors that influence fluctuations in concrete moisture levels. 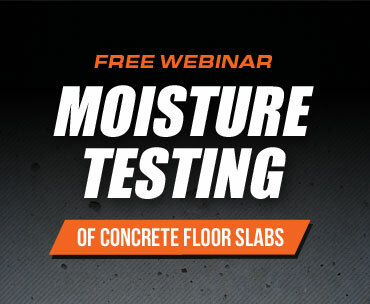 Moisture is present from the moment that a concrete mixture is conceived and created. Once a slab is poured, moisture dissipates through surface evaporation as the slab cures and dries. As that moisture is drawn to the slab surface, moisture inside the slab redistributes for the same purpose: to rise and evaporate. Thus, installers must allow sufficient time for moisture to do what it does through this natural redistribution and evaporation process. Under ideal conditions, the “rule-of-thumb” is to allow approximately 30 days of slab drying time for each inch of concrete slab thickness. When was the last time the building world was ideal? Stakeholders must adapt to a consistent and universal truth: Managing moisture condition must be based on a working understanding of why it fluctuates. This may seem daunting, but the answer is simpler than many people expect. Slab moisture levels are influenced by the original concrete mixture, but also by the slab’s surrounding environment. 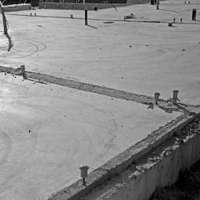 Concrete slab moisture levels can change due to poor drainage from beneath the slab, capillary action (known as wicking) from sub-surface moisture, or from moisture-rich additives applied to the concrete surface. Although these influences may be natural to some degree, they invariably influence concrete slab drying times. Ambient relative humidity (RH) and temperature are powerful variable. The RH of air can cause a slab’s surface evaporation rate to increase or decrease. When RH is high, concrete absorbs water vapor from the air; when RH is low, concrete emits water vapor into the air. Changes in ambient RH influence slab moisture even before floor coverings are applied. Once covered, slab moisture continues to migrate from the bottom of the slab until the moisture is proportionately equilibrated. Even if initial surface moisture was low, after the floor covering application RH will continue to rise from the bottom of the slab. In fact, moisture levels do not fully settle until after floor coverings are installed. Of course, the most proactive approach is constructed by design. Builders have numerous ways to ensure that concrete moisture, a natural presence in the concrete flooring process, has avenues by which it can exit a concrete slab. Make sure drainage runs away from a newly poured slab and that the grade is adequate for local conditions. Specify a true vapor retarder, with a minimum thickness of 10 mils, under the slab to prevent moisture seeping in through the ground. Lower the water-to-cement ratio in concrete mixtures. Various admixtures suffice in minimizing initial moisture levels while ensuring a workable mix. Allow the slab to dry naturally at service conditions. Protect it from the elements, and avoid maintenance or cleaning processes that will wet the slab. Specify, conduct, and verify reliable, accurate concrete moisture testing before proceeding with the floor covering. For decades, builders and flooring installers have assessed concrete moisture using the anhydrous calcium chloride test of moisture vapor emissions. The moisture vapor emission rate (MVER) is the amount of moisture emitted into a salt compound sealed to the surface of the concrete with an enclosed moisture dome. The anhydrous calcium chloride test assesses slab surface moisture condition for 60-72 hours. The resulting MVER had been deemed as a reliable method for determining concrete slab readiness. However, the turn of the 21st century brought renewed inquiry to the anhydrous calcium chloride test method. The construction industry began to recognize that slab performance, as assessed by calcium chloride (CaCl), was often less stable than the moisture vapor emissions rate (MVER) first indicated. Specifically, professionals focused on the fact that by nature, the anhydrous calcium chloride test did not predict moisture conditions inside the slab. It was time to assess the historic tool of concrete moisture assessment itself: the anhydrous calcium chloride test and its accompanying industry standard, ASTM F1869. How could a general contractor and specifier help the flooring installer prevent future moisture problems? RH testing has now been acknowledged as a legitimate means of assessing overall slab moisture condition. In fact, the American Society for Testing and Materials (ASTM) created ASTM F2170 as an alternate to F1869. Ultimately, the industry has recognized that RH is a legitimate and accurate means of determining concrete slab readiness. 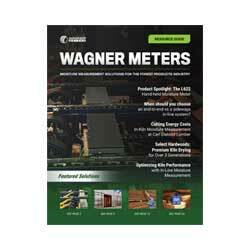 Wagner Meters, an industry leader based in Rogue River, OR, partnered with peers to develop the original Rapid RH®, a slab moisture measurement system rooted in RH methodology. The Rapid RH® uses state-of-the-art in situ moisture probes with proprietary Smart Sensors which are placed inside test holes drilled into concrete. From within, the Rapid RH® probes indicate consistently more reliable moisture testing results for the flooring industry. How? Through extensive research begun in Sweden in the 1990s, and through further ongoing testing, it was proven that sensors placed at 40% of the concrete slab depth (for slabs drying from one side) ably predicted final moisture condition rate if the slab were to be sealed at that point in the drying process. Assessors do not need to probe any further to obtain precise and reliable RH measurement with the Rapid RH® system. The Rapid RH® 4.0 EX is a state-of-the-art, cost-effective way to assess concrete moisture condition to within three percent of the final slab RH level less than an hour after inserting Rapid RH® Smart Sensors into concrete slabs. The Rapid RH® 4.0 EX stackable probe insert allows the sensor to equilibrate, in most cases within 60 minutes, whereas other humidity measurement systems can take many more hours. While ASTM compliance requires 24 hours, the speed and accuracy of the Rapid RH® test method allows flooring installers to make business-critical, non-installation decisions within one hour. The Rapid RH®concrete moisture assessment system is a way to ensure that strong, durable concrete slabs limit contractor liability, both through ensuring optimal RH conditions before installation and through full ASTM F2170 compliance, for optimum flooring results. JASON , HI, i am tony cairo of cord flooring in new york . i have a large project and have done wagner rapid rh testing and the tests do fail , some not all. it is my belief that one failure fails the entire floor . do you have any literature to help me with this.? I just returned your call. This is better as a phone discussion.